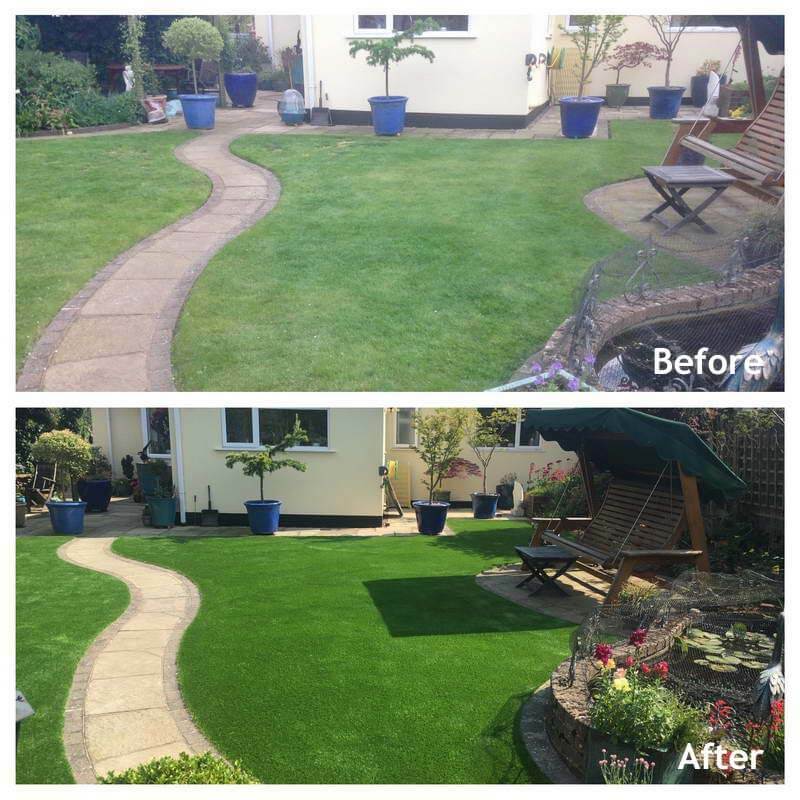 Two sections of artificial lawn fitted in back garden. 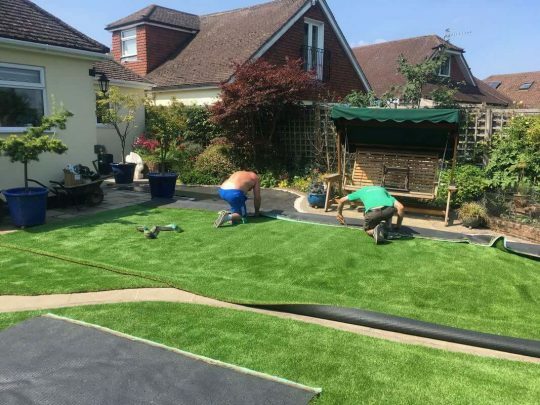 We first met our client at the Loseley Garden Show in July 2015. 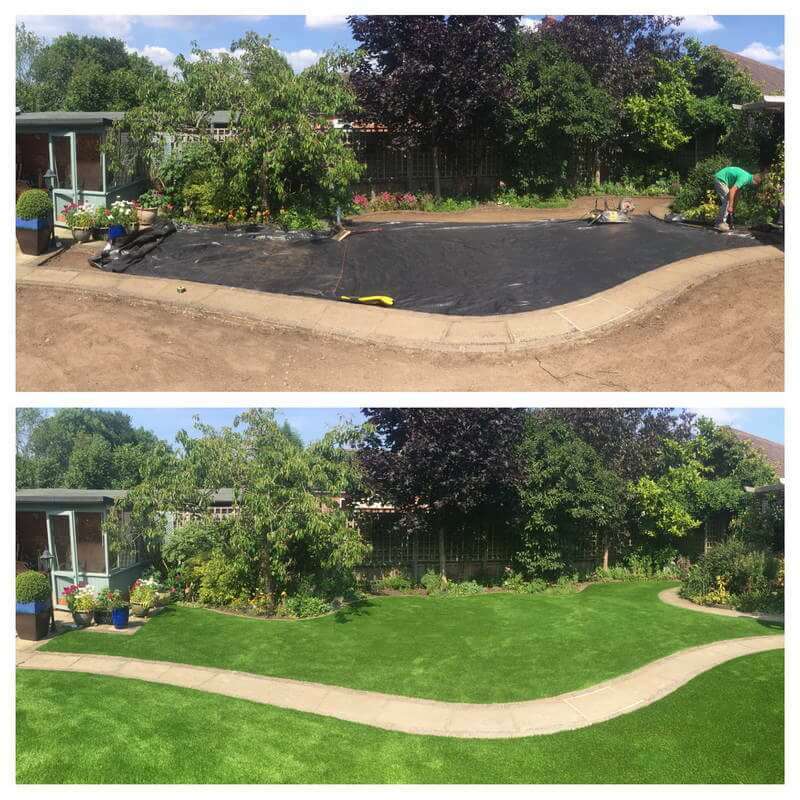 Two years later and after much debate, they asked us to fit their artificial lawn. 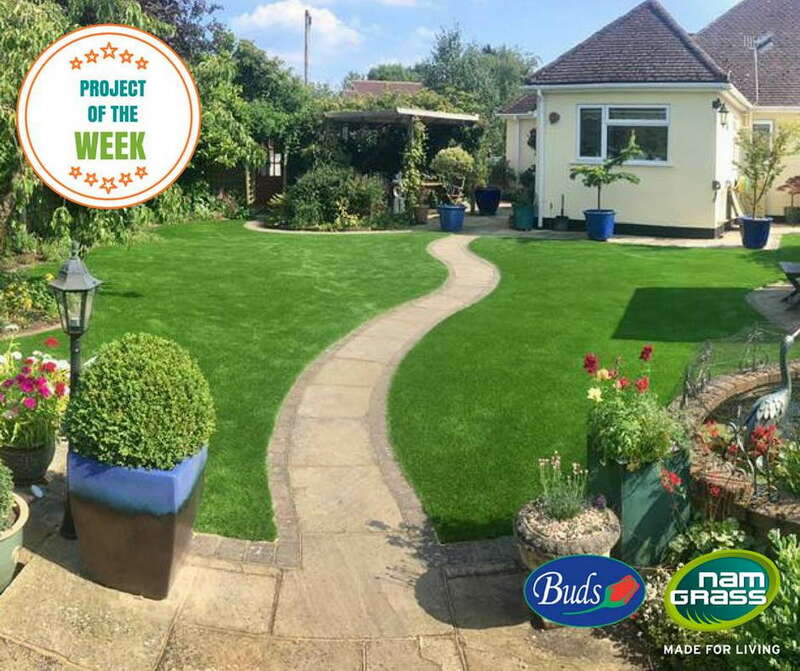 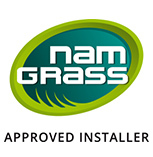 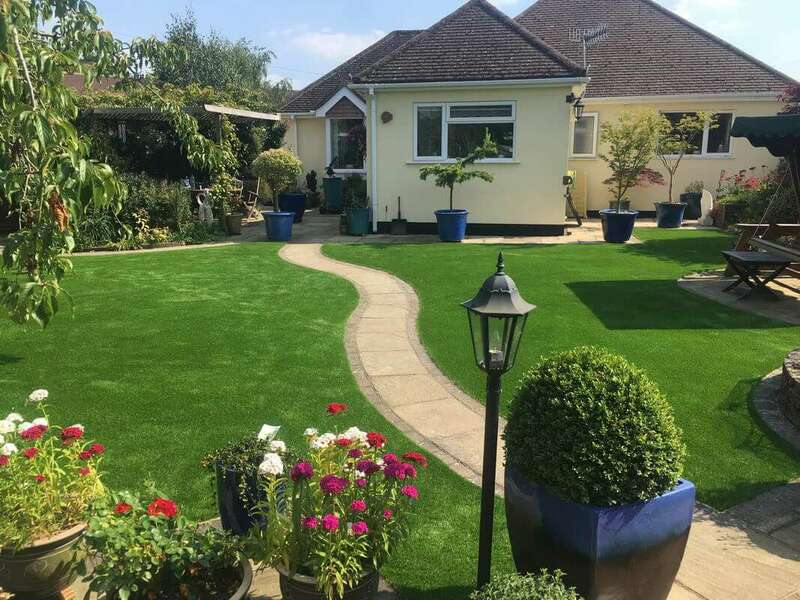 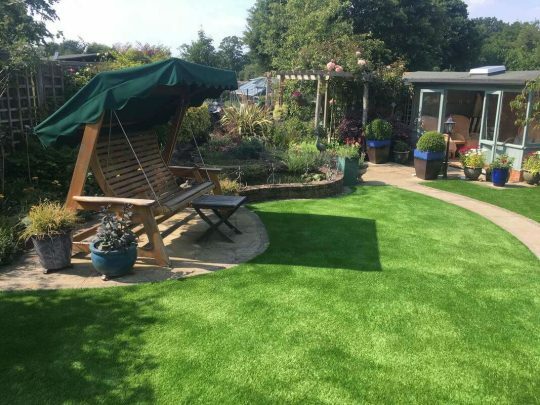 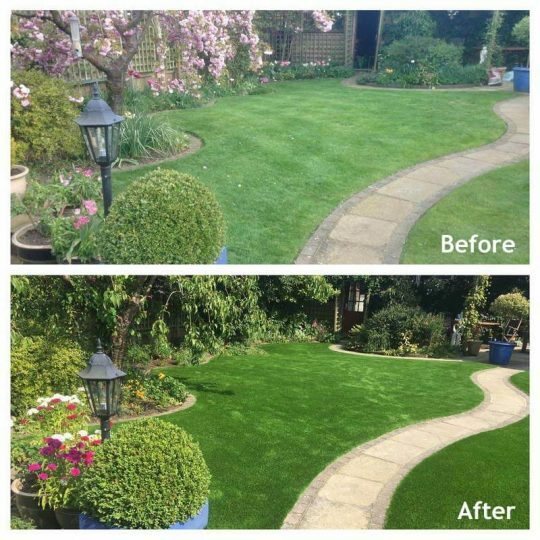 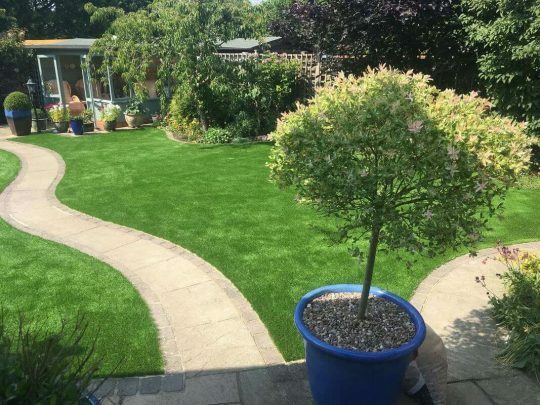 Initially they had chosen a Meadow lawn but then having looked at more recent grass releases, they decided on the brighter (more realistic) Namgrass B2B35. 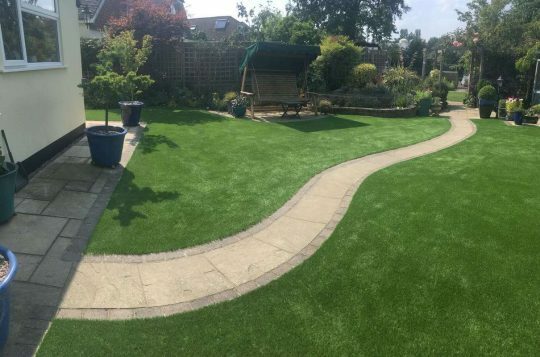 We then fitted it for them and they think it looks fantastic!